Steve Harris runs Dell EMC Federal. His office in McLean, Virginia, a stone’s throw from the nation’s capital, is a long way from the tiny town where he grew up: Wellsville, New York – population 7,000. I sat down with the one-time aspiring professional golfer to discuss how he got into IT, and his vision for Dell Technologies’ position in the changing Federal market. A fellow USO-Metro board member, Harris is hitting a hole-in-one at Dell EMC Federal. What are Dell’s strategic priorities in the public sector? What do you view as Dell’s key differentiators, capabilities, and contributions? What are the biggest opportunities and challenges in Federal IT? “So the challenge is legacy systems, and the opportunity is moving to new, more secure and more agile approaches that accelerate time to mission success while slashing cost. How do you get there? Well, that’s a multi-cloud approach. Moving everything off to a place called the cloud is not the right way to do it. There’s a misconception that cloud is where you move IT to fix all your problems. That is not accurate. It’s really about a multi-cloud capability. Cloud is a way to get to outcomes that you desire–not a place. In fact, agencies can shift to on-prem cloud for a fraction of their current expenditure. And like any move, you need to go house to house, room to room, mapping workload by workload. That’s also a huge challenge and a massive opportunity. The government needs cloud architects and systems experts. What emerging trends are you seeing in the Federal IT market? How is Dell EMC positioned to help the federal government with its IT modernization drive? How do you see FITARA and MGT impacting prospects for wholesale federal IT modernization? What should Federal IT leaders prioritize as they work to meet the new DCOI 2020 deadline for optimizing/consolidating Federal data centers? What do you see as the greatest opportunities for Federal IT in the year ahead? 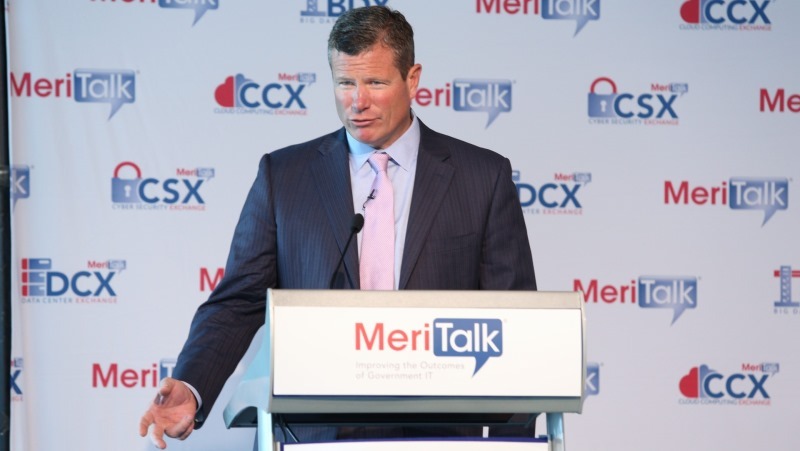 Could you talk about Dell EMC’s commitment to the federal community? What would you do, if you weren’t doing what you’re doing today?